To him, ghosts don’t mean dead people; so he doesn’t really know what he’s talking about; but Halloween can serve as another reminder of our own mortality. Halloween has a complicated history, which is not the point of this post, but I think it can be a fun time but also a time to practice Stoicism. 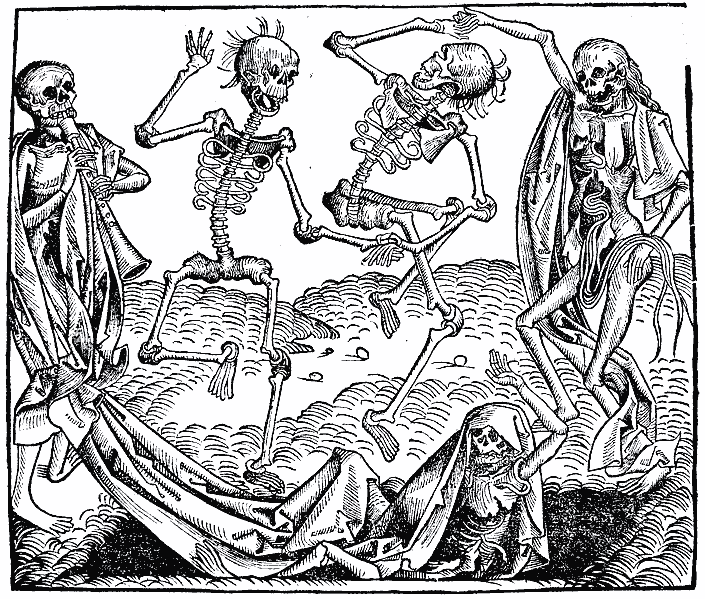 The above image of Danse Macabre is an allegory used to remind us of the fragility of life and our own mortality. Similar to the concept of negative visualization, considering our own mortality and that of our loved ones, we can increase our present appreciation for them . So tonight, while celebrating Halloween I plan to consider how fragile life is, that I could in fact lose my family at any moment, and have lots of fun watching my kids knock and doors and demand candy.